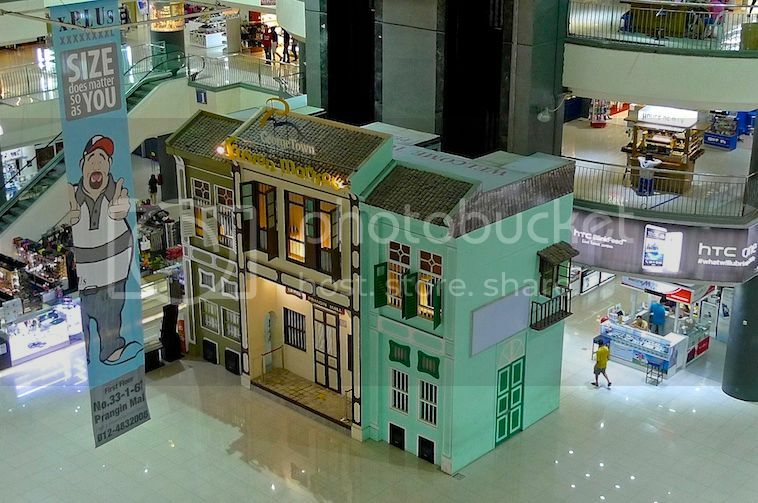 OK, it's back to blogging about my 4-day solo trip in Penang last year. I went there in the middle of June last year via the Aeroline bus. If you are too lazy to drive or check in at the airport, then the Aeroline bus is a good choice to take you from Petaling Jaya to Penang and back. You can read about my experience taking the Aeroline bus HERE. 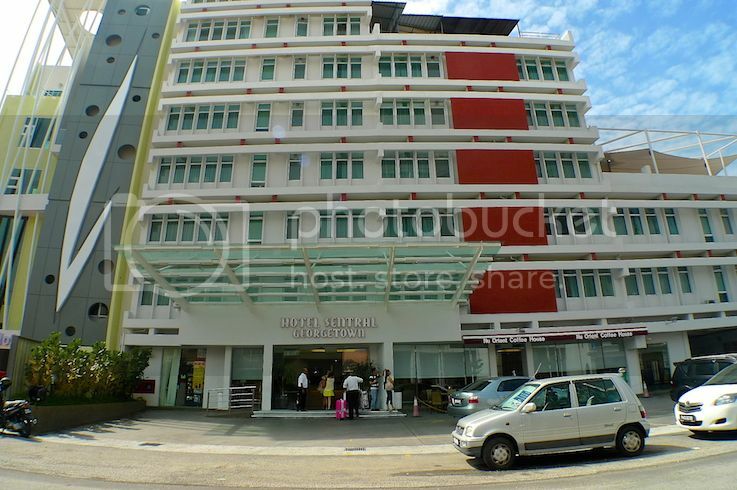 On my first day in Penang, I stayed at Hotel Sentral located at Lorong Kinta in Georgetown. 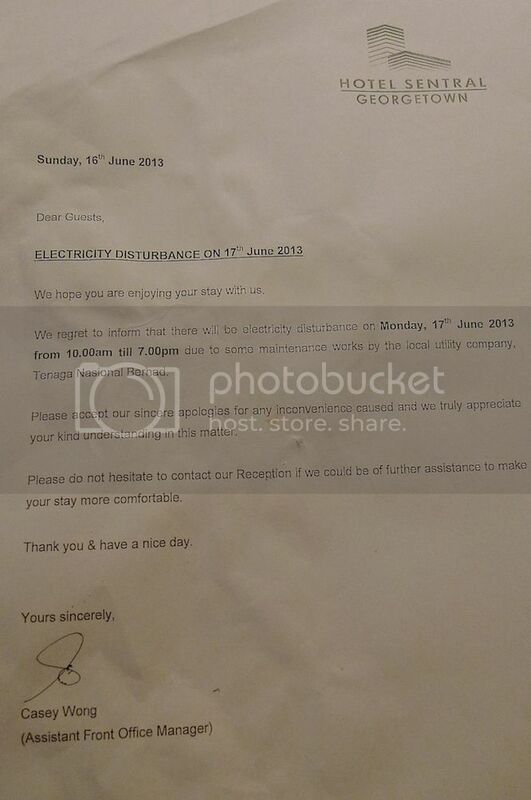 Upon checking into Hotel Sentral at about 5pm, I was confronted with bad news - No electricity!! Apparently, this electricity cut had something to do with repair works being done at Macalister Road nearby due to a horrible tragedy that happened there a few days back. Penang folks will surely remember this horror story - A lightning arrester pole on top of the 21-storey Menara UMNO building had suddenly came crashing down onto Macalister Road during a thunderstorm, crushing vehicles and killing 2 people. The impact also created a five-metre deep crater on the ground. Read about it HERE. When I was in Penang that day, that part of Macalister Road was still closed as repair works were being done - this probably led to the electricity being cut off. Staying inside a hotel in darkness and without air conditioning was definitely not my idea of a holiday, so I decided to take a walk around Georgetown. 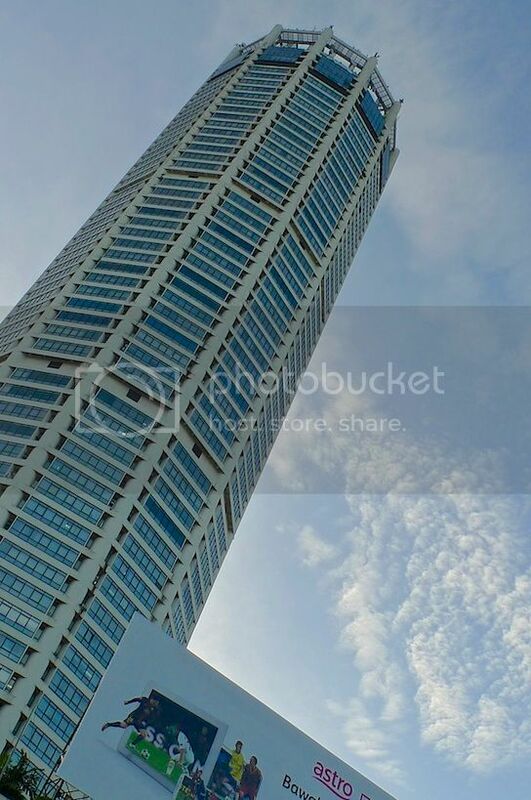 I passed by the famous Komtar building - the tallest building in Penang. 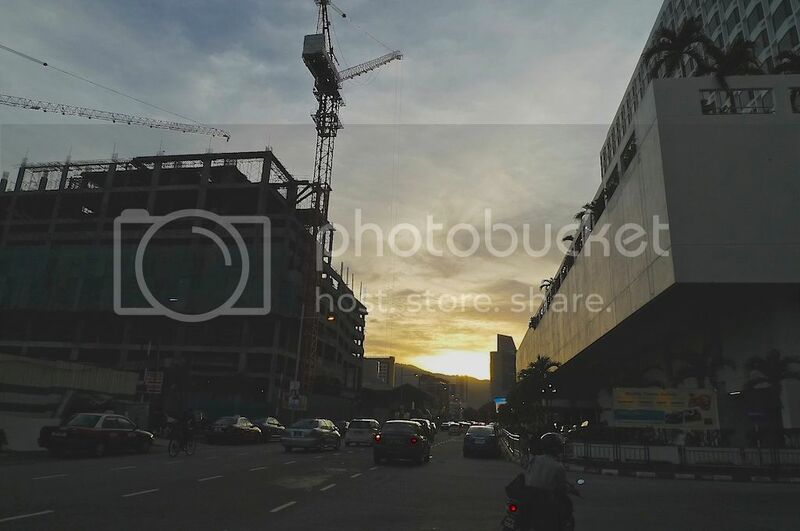 Walking along Jalan Magazine, I took this picture of the street with the setting sun. 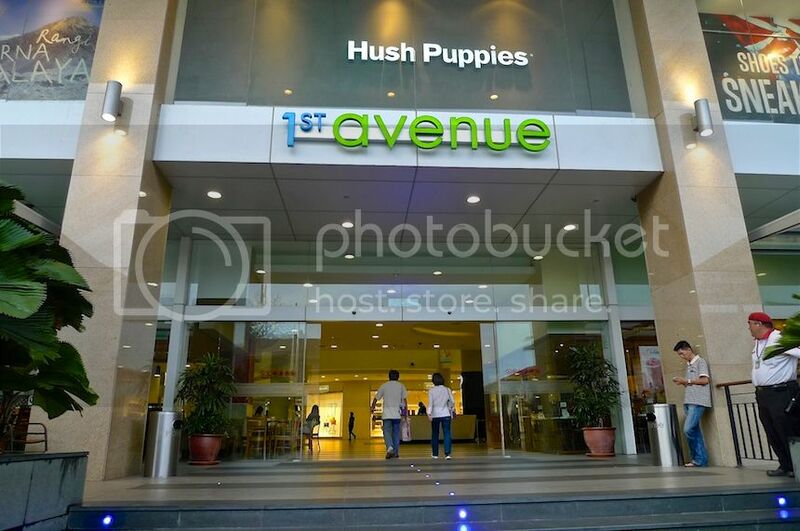 I saw First Avenue Mall and decided to go in. 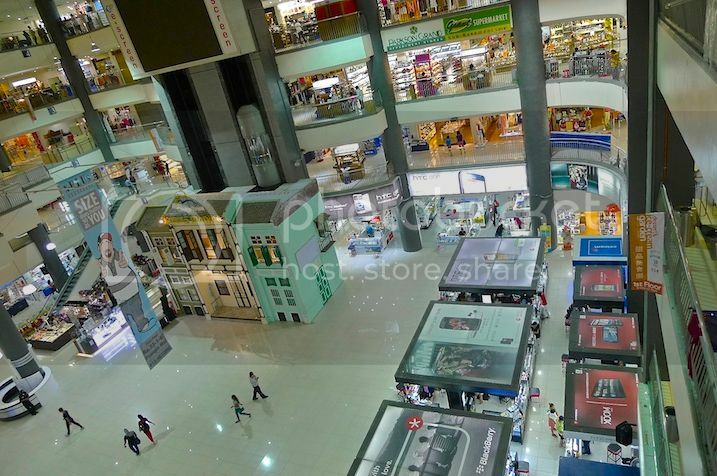 Walking leisurely inside the mall, I somehow ended at another mall - Prangin Mall. There must be a link somewhere between First Avenue and Prangin Mall, but I could not remember where. 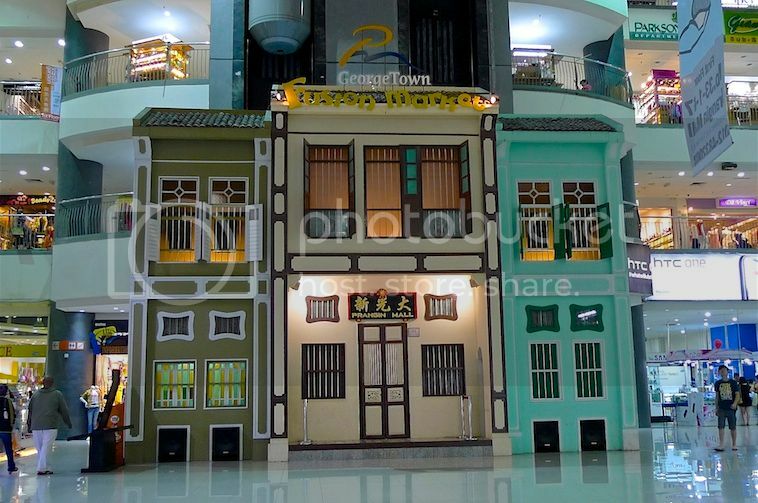 I took a picture of this nice 'shophouse' at the ground floor concourse area. 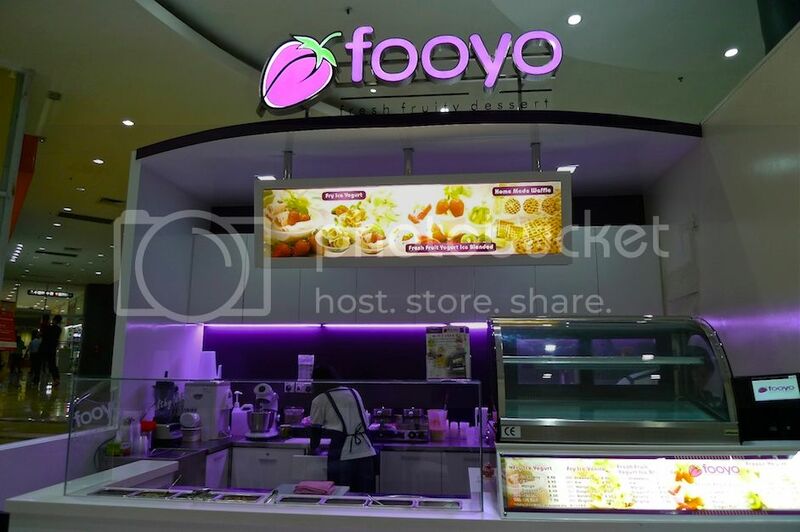 Then I saw this dessert kiosk called Fooyo. It sells fried ice yogurt! I've eaten frozen yogurt and yogurt ice blended (which Fooyo also sells) but not fried ice yogurt, so I decided to give it a try. There were many flavours to choose from - mango, strawberry, kiwi, dragon fruit, banana and original. I chose mango. There were not many customers at that time so I managed to take a few shots of the preparation process. 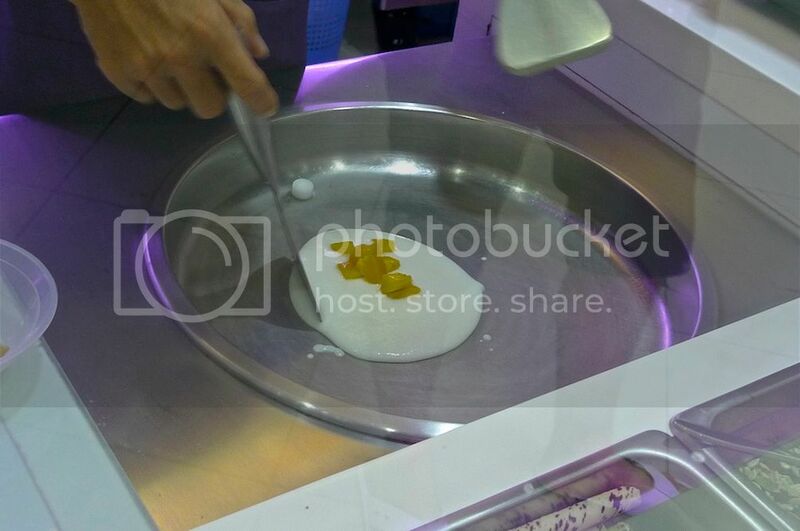 First, mango cubes that were freshly chopped were thrown into what looked like a frying pan together with some yogurt. 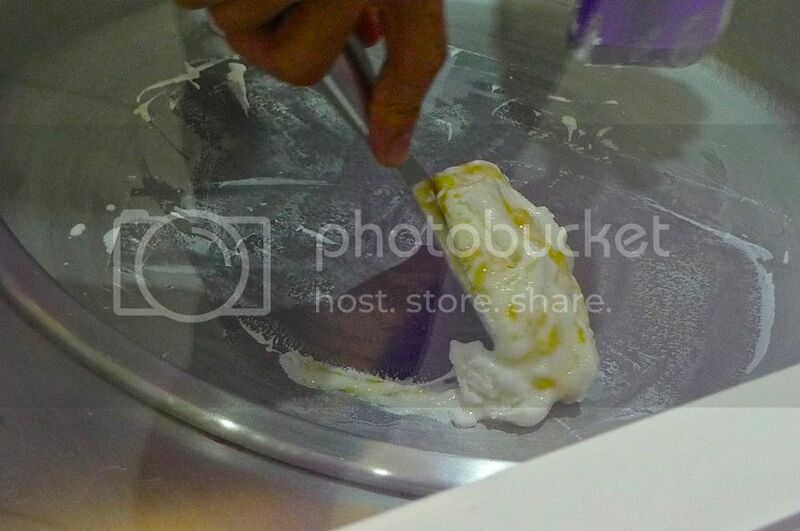 The yogurt seemed to freeze in that 'frying pan' probably due to the freezing temperature of the pan. The mixture of yogurt and mango were then spread thinly and evenly on the pan, after which it would be shovelled up. 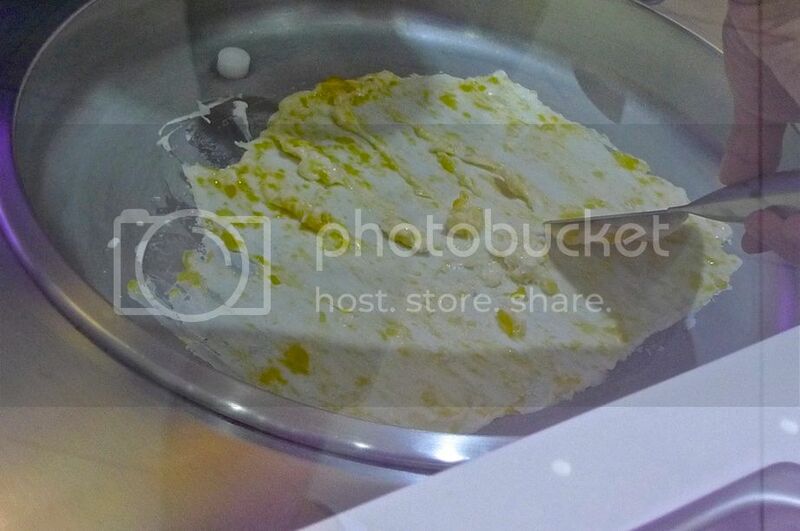 This is the end product - my bowl of mango flavoured fried ice yogurt. 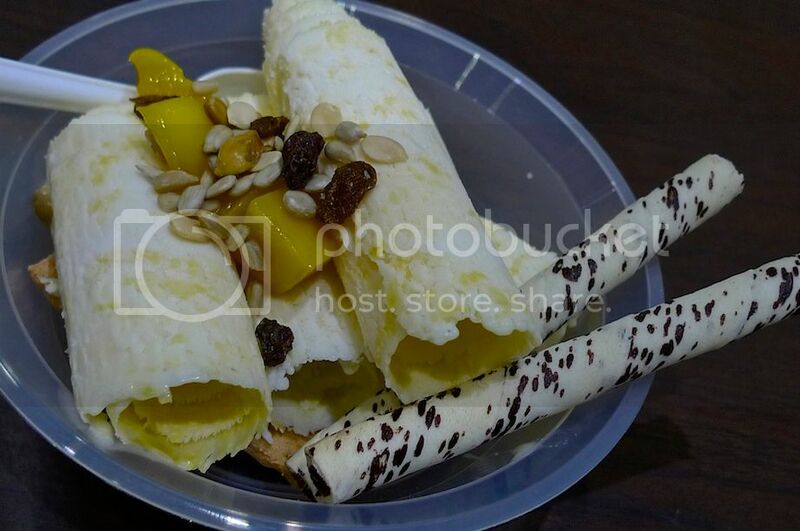 Included in the bowl were 'love letter' biscuits rolls, sunflower seeds and raisins. Yummy! 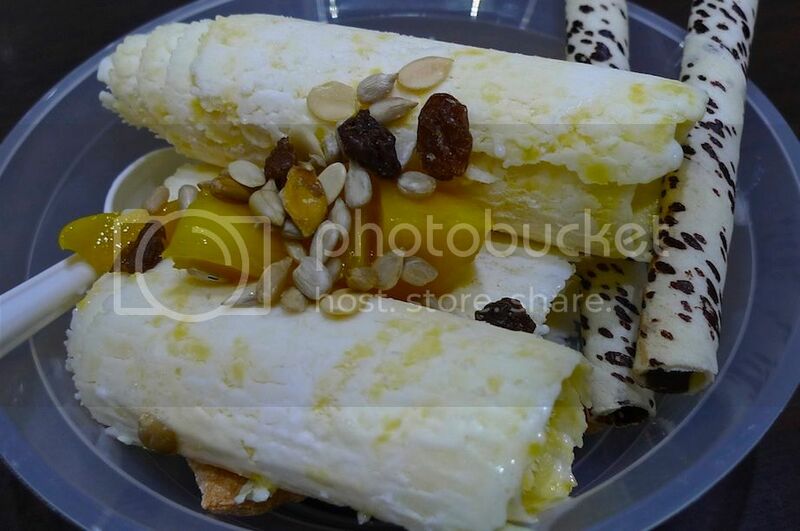 The taste of the sweet mango complemented perfectly with the sour yogurt. At RM8.50 (US$2.60) a bowl, I thought it was slightly pricey, but it's still worth trying. However, it was not so good that it could make me crave for it. Perhaps if I go Penang again in the future, I might visit Fooyo and try their other flavours.